One of the things I want to do more of in the kitchen is bake bread. While much of the time involved in bread baking is waiting time, my waking hours at home are limited, and even recipes that rise in the refrigerator usually need a couple hours out of the fridge to rise before baking. That means the bread is never quite done to coincide with a meal. It frustrates me that I can’t make it happen. I’m very excited about this week’s Dorie recipe. I might have found a workable option in fougasse. Fougasse is not a loaf of bread for sandwiches and taste, but it’s just right to accompany a meal. I would liken it to a French or Provençal foccacia. Timing-wise, once the dough has risen in the refrigerator overnight, it only takes 45 minutes or so from fridge to table. Warm yeasty bread with dinner. Awesome! 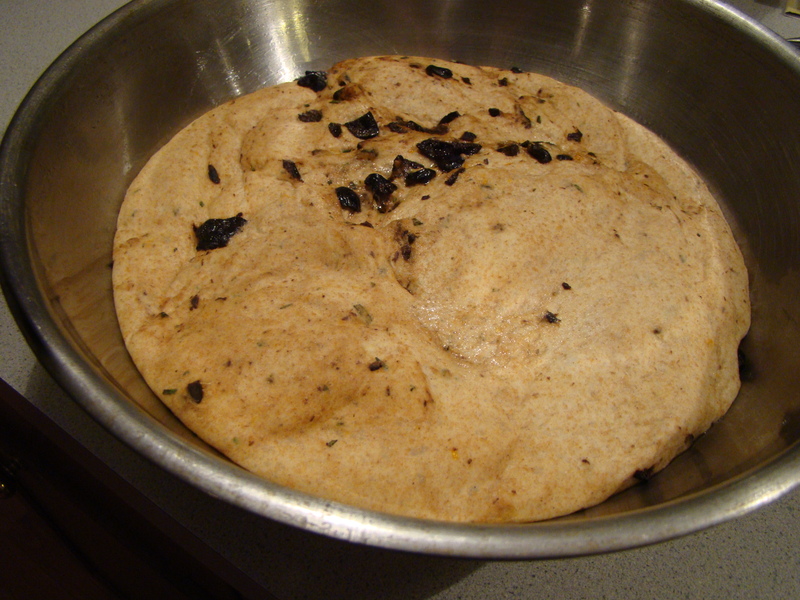 The yeast is proofed in warm water, then combined with olive oil and mixed in with the flour. I also want to add more whole grains to my diet, so I used half all-purpose and half whole-wheat flour which seemed to work well. The KitchenAid did the work of kneading while I pitted and chopped oil-cured olives, minced fresh rosemary, and zested an orange to mix into the kneaded dough. 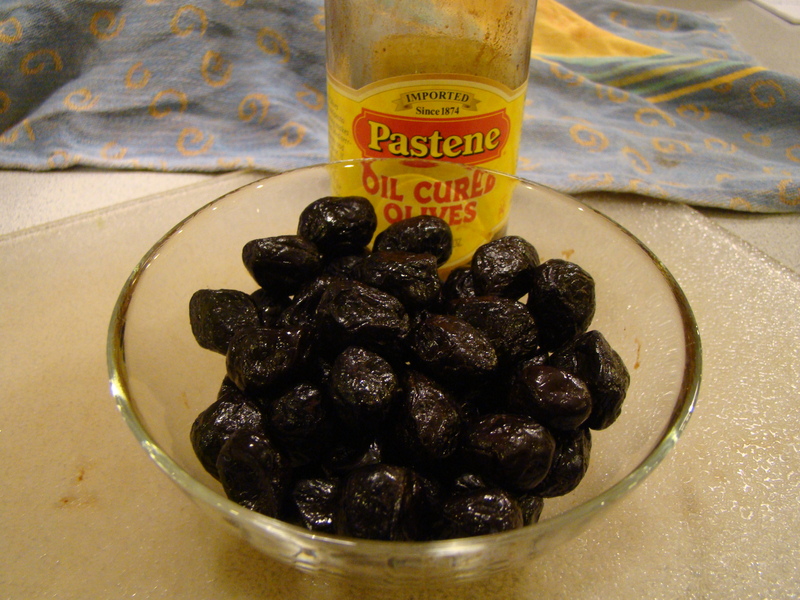 I don’t know what it is about them, but I really like oil-cured olives. They are so fragrant and soft. They sort of remind me of savory prunes (which I mean as a praise for them, not an insult). The dough did need to spend an hour or so rising, but the bread proofing setting on my oven does a great job at that. The setting holds the temperature at 100 degrees F, and the inside of the oven is draft-free. I did this after dinner, before bedtime. Then it’s into the refrigerator for a minimum 6 hour chill or up to 3 days. 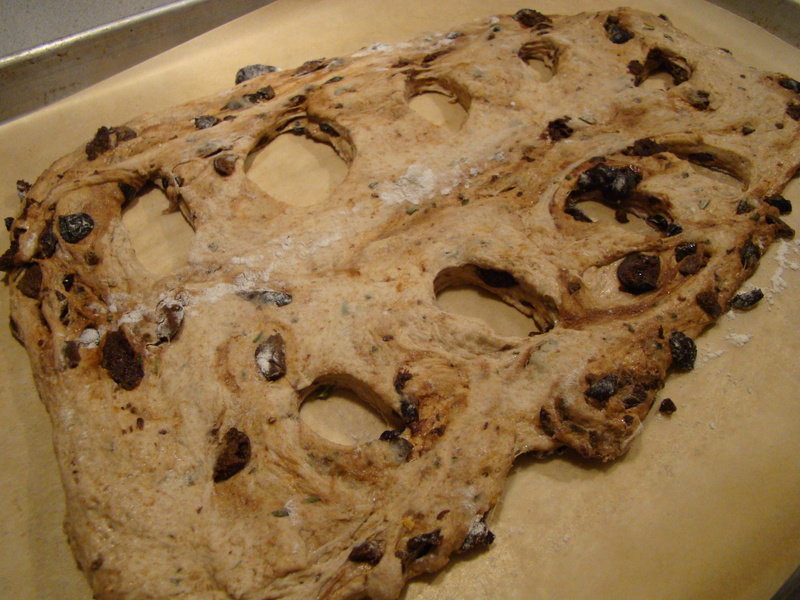 Wednesday night, I made half the dough into my first fougasse, after it had spent nearly 48 hours in the fridge. I quickly rolled out a rectangle, made some decorative slashes, and let the bread rest for about 15 minutes while the oven preheated. The bread was brushed with olive oil and water, and sprinkled generously with coarse kosher salt. Then, it’s just 20 minutes in the oven and voilà! Warm bread with dinner. My fougasse accompanied a potato chip tortilla (Dorie’s recipe too). Early this morning, I made four mini fougasses with the remaining half of the dough. I also sprinkled coarse grey sea salt on top instead of kosher salt. I like the sparkly effect. These will make the perfect individual accompaniments to today’s lunch. 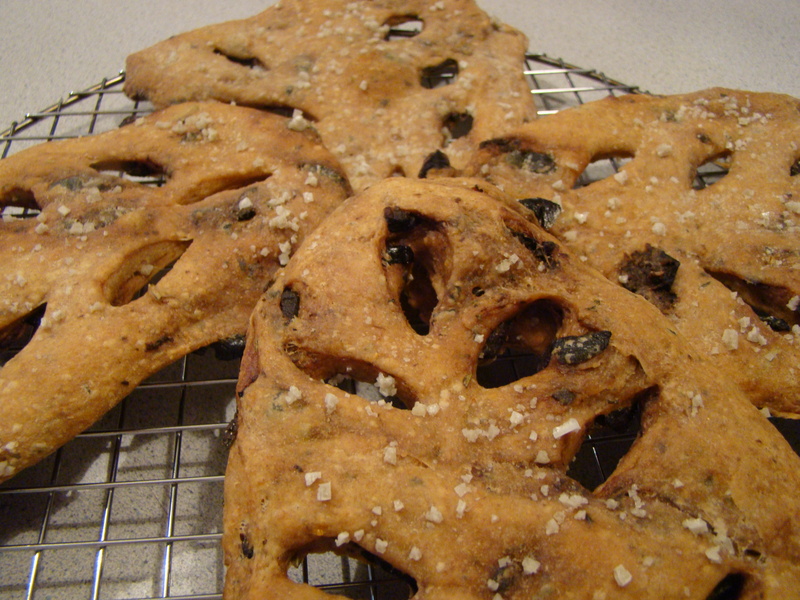 Having made on fougasse, my mind is wild with ideas of what I can do with this recipe. I make even smaller fougasses for individual lunch-time servings to go with a bowl of soup or a salad. I’m also salivating over other mix-ins, like sun-dried tomatoes, some hard cheese cubes, or abundant fresh herbs. Other suggestions anyone? I can’t wait to try this again. To see how my fellow Doristas did with their fougasses, check their link at French Fridays with Dorie. We don’t post the recipes, but you can find it in Dorie Greenspan’s book Around My French Table.